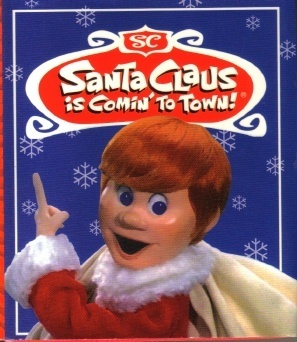 Santa Claus Is Comin' to Town is a 1970 stop motion television special, made by Rankin-Bass with models carved from wood (as with most Rankin-Bass specials). The film stars actor Fred Astaire as S.D. 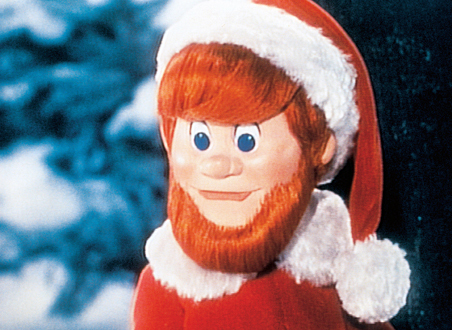 Kluger, the narrator, and Mickey Rooney as Kris Kringle/Santa Claus (a role which he would frequently play later on). The film tells the story of how Santa Claus and several Claus-related Christmas traditions came to be. It is based on the Christmas hit of the same name, which was introduced on radio by Eddie Cantor in 1934. Beginning in 1989, the special has been released numerous times on VHS and DVD. VHS release dates include 1989, 1993, 1998, and 2001. DVD dates include 9/6/05 including a CD single of Mariah Carey performing the title song, and most recently, 9/4/07. The special is available as an individual title, or as part of a box set including other famous Rankin-Bass Christmas titles. When the reindeer take off and the children start to rattle off their names, one child says "...and don't forget," referring to Rudolph. The narrator says "that's another story," referring to the Rankin-Bass special based on the character.